Responsible Driving makes becoming a safe and responsible driver easier for students and allows teachers to teach more efficiently and informatively to students. This classroom-tested program reflects the changes surrounding teen driving - from graduated driver licensing to zero tolerance laws to cell phones to information about vehicle maintenance. Tips for New Drivers and Dealing with the Unexpected provide students with valuable information for when they get behind the wheel. The What Would You Do feature allows students to make decisions from the driver’s point of view. FYI and Did You Know? features highlight facts related to the history of driving and bits of high-interest information, including up-to-date statistics. 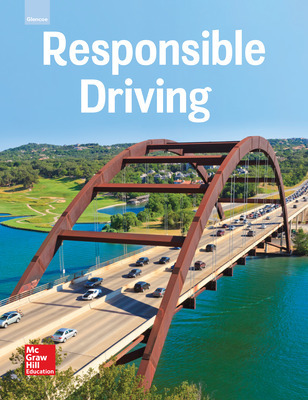 At the end of each chapter are Building Skills which develop map-reading skills or provide cross-curricular skills in geography, math, science, social studies, language arts, and other areas that are related to the driving experience. Chapter Assessments evaluate students’ understanding of the chapter by providing multiple-choice and open-ended questions that test students’ comprehension and critical-thinking skills. Integrated Learning Approach provides a well-integrated and coordinated blend of classroom instruction and structured laboratory experience. 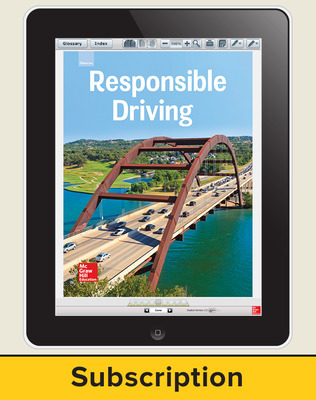 Responsible Driving ©2016 features online resources on the McGraw-Hill ConnectED platform which empowers teachers to easily teach program material, manage classroom assignments, and engage every student. Teachers can access the student eBook, digital resources, assessment and planning tools in one convenient location. Print teacher editions are available print-on-demand on Create™. 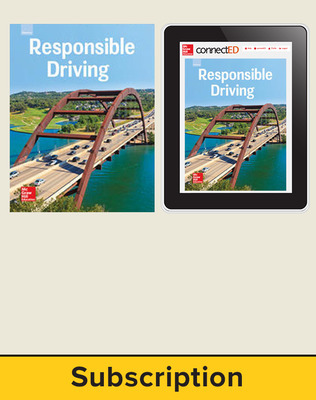 Click Explore Create™ to find Responsible Driving today!